Kigali is the capital city of Rwanda, roughly in the center of the country. It sprawls across numerous hills, ridges, and valleys, and has a vibrant restaurant and nightlife scene. The Kigali Genocide Memorial documents the 1994 mass killings in Rwanda, associated with the country’s civil war. The city’s Caplaki Crafts Village has stalls selling traditional handicrafts, including woodcarvings and woven baskets. 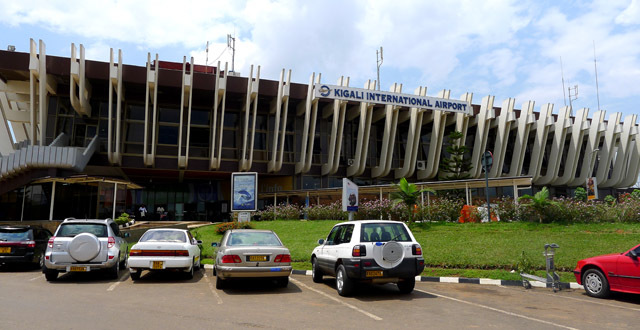 Kigali Airport that goes by the name (KGL) is the entry to Rwanda by Air. You can fly to Kigali via Nairobi, Dar Es Salam as well as other international Airports. Rwanda Air is the carrier Rwanda which is rapidly growing. Taxis are available 24 hours a day at Kigali International Airport. They are mostly white with a horizontal strip of color. Most do not have meters and any rate in Kigali or outside Kigali must be negotiated with the driver before entering the vehicle. Avoid the hustle, please book a transfer and pay via our secure booking engine. WE WILL BE WAITING FOR YOU.